The singer, dancer, actress, and star of the Disney channel show The Suite Life of Zack and Cody (as well as High School Musical) has continued to venture outside the bounds of career trajectory, and now, Ashley Tisdale has a makeup line at Target. 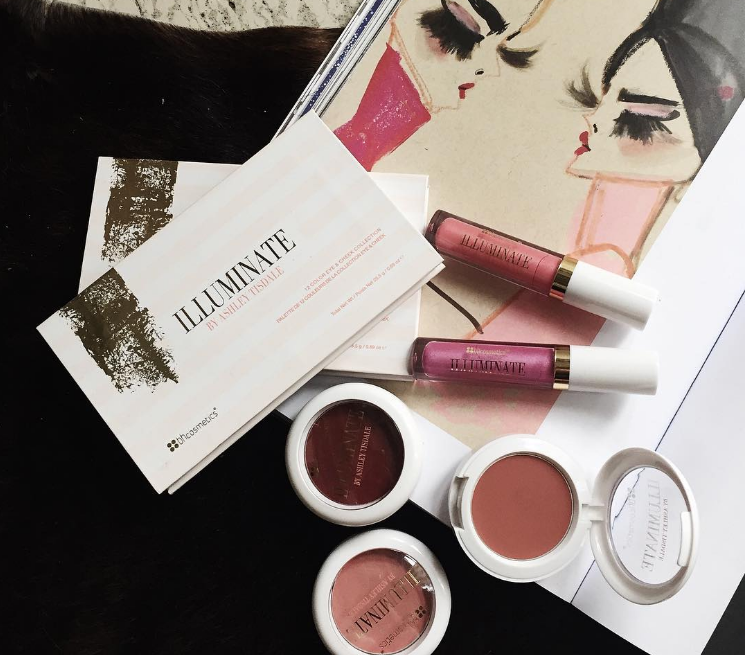 The 31-year-old multi-talented Tisdale first launched her makeup line Illuminate back in June to overwhelming support, and now beauty fans and followers can buy Illuminate through Target online. Needless to say, this is the perfect storm for Target Members, who want to try out Tisdale’s color wheel of pink lip colors, rogues, and eyeshadows. It’s also worth noting that all the pieces from the collection on Target online cost $16 or less. So you don’t have to break the bank for these beauty products (unless you buy ten of everything). Now you can rack up your Target points while doing yourself up like the star of a Disney Channel original movie. Except, in this Disney Channel original movie, the protagonist is slightly more sophisticated and engages in few prank scenes. When you see the color lineup of the full collection in one place, it looks like a family reunion for the color pink. You can check out the select Illuminate products available online through Target, here.